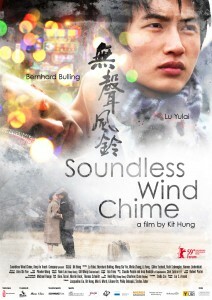 Soundless Wind Chime tells the poetic journey of Ricky, a 26-year-old Chinese man, looking for the lost soul and the past of his deceased Swiss lover Pascal. Ricky meets Altdorf Ueli quite by chance, but he is the spitting image of his deceased lover. While Ueli evokes all memories of Pascal in him, Ricky struggles with the memories of their time in Hong Kong, the reality in Switzerland and his illusions.